Zhao Zhong first joined Pacific Environment in 2012, and rejoined us in July 2016 after taking a year off to participate in the Hubert H. Humphrey US State Department Fellowship. During his fellowship, he completed a year of course work at the University of California, Davis on Natural Resources Management and Climate Change. 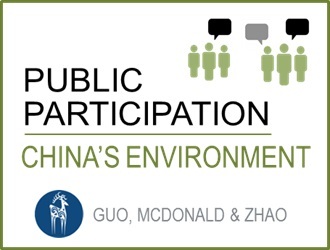 At Pacific Environment, Zhao Zhong promotes and conducts research on public participation in environmental decision making and provides training and mentorship to our network of grassroots partners in China. Zhao Zhong is the founder of Green Camel Bell, the first environmental group in Gansu Province, where he pioneered the use of China's information disclosure laws to hold polluters accountable.